Does HERO’s Model HRA Teach Employees to Lie? « They Said What? Home » HERO » Does HERO’s Model HRA Teach Employees to Lie? Does HERO’s Model HRA Teach Employees to Lie? This is the seventh in the series on the HERO Report, covering page 26 to 38. Six previous installments can be found here. A future installment will include a wellness savings calculator that you yourself can apply to determine whether the HERO report accurately captures your own economics or not. To make sure not to miss it, “follow” us on WordPress. Employers learn a lot about their own companies when employees complete health risk assessments (HRAs). 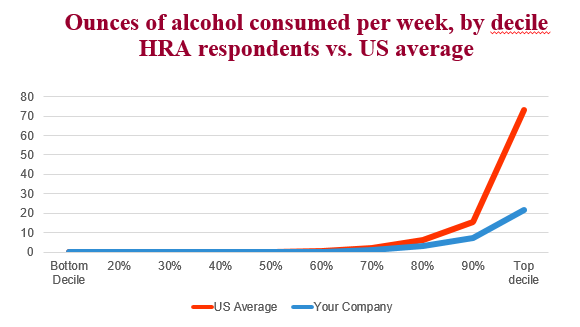 For instance, HRAs ask employees how many ounces of alcohol they consume. Wellness vendors then produce reports showing the statistical difference between the number of ounces of alcohol employees say they consume vs. the number of ounces of alcohol that employees with similar demographics actually consume, to show the extent of that company’s workforce dishonesty. Haha, good one, Al. Obviously no wellness vendor does such an analysis. Doing that would require actual competence, one of two critical success factors — integrity being the other — conspicuously lacking in the wellness industry. (Exhibit A: this HERO report.) Instead, they summarize the self-reported drinking estimates with no qualification or comparison to national norms, as though these self-reported figures actually mean anything. According to self-reported estimates from this company, literally no one has a drinking problem and very few people drink at all. Time after time, we get the same result. 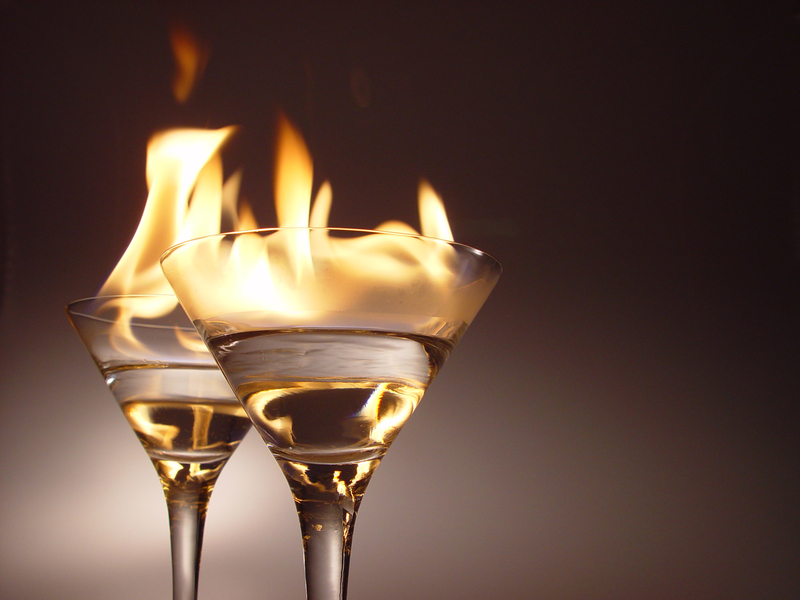 Hence, self-reported estimates of alcohol consumption on HRAs are useless at best. At worst, asking this question simply encourages employees to lie. Somehow wellness vendors have never figured this out, despite their extensive experience in the lying department. This chapter contains three other head-scratchers as well. First, why this obsession with body mass index (BMI)? It is probably more important to be “fit and fat” than to attempt to diet and not exercise. You can’t get people to change multiple behaviors. HRA advice should be focused on fitness, rather than weight. Second, speaking of weight, why hasn’t HERO gotten the memo that most fruit juice is junk food? Why are they urging the consumption of more sugars? Why do they equate fruit juice with healthy vegetables? Where is the up-to-date nutritional guidance? This isn’t rocket science. Quizzify incorporated this revised dietary guidance into its health education tool when it was first released, in March. Third, why do HRAs obsess with seat belts? Seat belt use in the U.S. is at all-tme highs, but distracted driving is a serious problem that no HRA we’ve seen even mentions. If you are routinely hiring employees who don’t buckle their seat belts, but are texting and talking while driving, then you have bigger programs, and a computer print-out telling them to buckle their seat belts isn’t going to save anyone. And, aside from the fruit juice, there is no demonstrably bad advice in this model HRA. HRAs, of course, are notorious for bad advice, like telling males to get prostate tests, telling females without genetic predispositions to get mammograms before the recommended age of 50. And, don’t forget WebMD’s infamous testicle checks, one of the late-night TV staples from the Highmark-Goetzel Penn State debacle. Men who didn’t say whether they check their testicles every month – a D-rated idea, according to the US Preventive Services Task Force – faced a $1200 fine. And while we realize that offering “no demonstrably bad advice” isn’t exactly a ringing endorsement, this chapter is the first in the HERO Report that isn’t mostly wrong. By whynobodybelievesthenumbers in HERO on May 8, 2015 .